Thanksgiving, 3 Baptisms, and a Miracle! This week was literally one of the very best weeks of my entire mission! We had 3 baptisms and confirmations; I did my 1st baptism and then confirmed two of them on Sunday. It was awesome and was definitely a fulfilling experience! 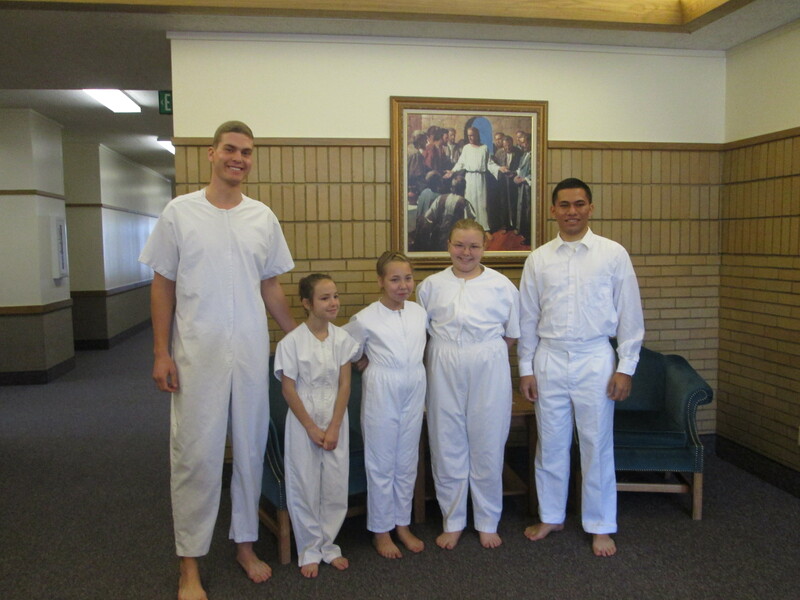 I loved teaching those that we baptized, and I have a feeling that I won’t be forgetting them either. I baptized & confirmed this 10 year old girl named Caitlyn Marilyn Petersen and she lives with her mom and a brother; her parents are divorced. She is a bit “wacko”, but that’s normal; she at first didn’t want anything to do with us, but slowly she opened up to us and now she refers to Elder Tafengatoto and me as her “brothers”. I have grown so close to the people including her and her mom since I have been here in Kearns, and I love it! The others that were also baptized were from a less active family and their names are Sammantha Brewer (12) & Savanna Brewer (9); they are awesome and we actually found them through Caitlyn because she is best friends with Sammantha. I honestly have never been more nervous in my entire life than during the confirmations and that was all mainly because I didn’t want to mess up what I was supposed to say, but it went extremely well and they are a good bunch. We are helping Sammantha and Savanna’s parents get married this Saturday on the 1st of December. They have been together 8 years but haven’t “found the time for it”, so we will see how that goes. Thanksgiving was interesting, and yes, it was my comp’s first one; he is from Tonga as you know. He didn’t really even know what to expect and tried to schedule things that day, but let’s be honest it was his first time celebrating it. We had 3 full on meals with members so overall it was a great day too! I love all of you guys and I know that I couldn’t do it without y’all either!